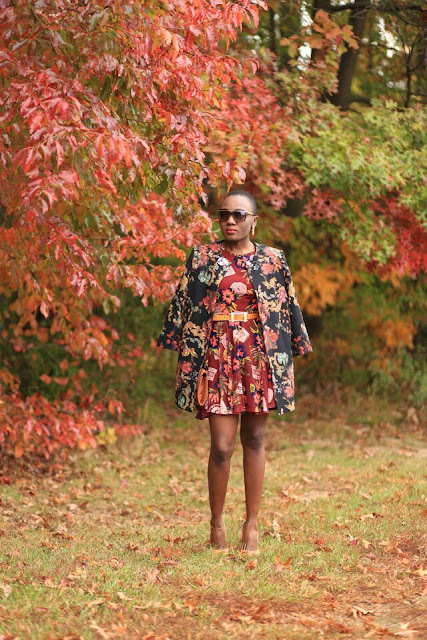 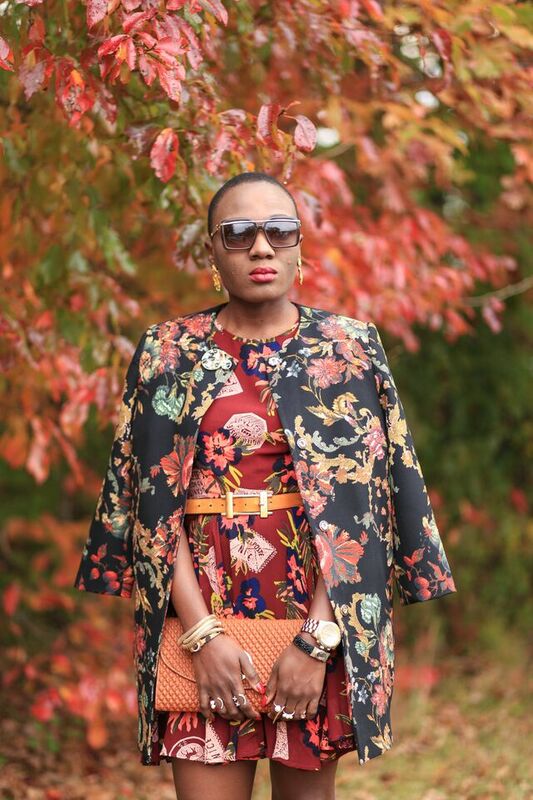 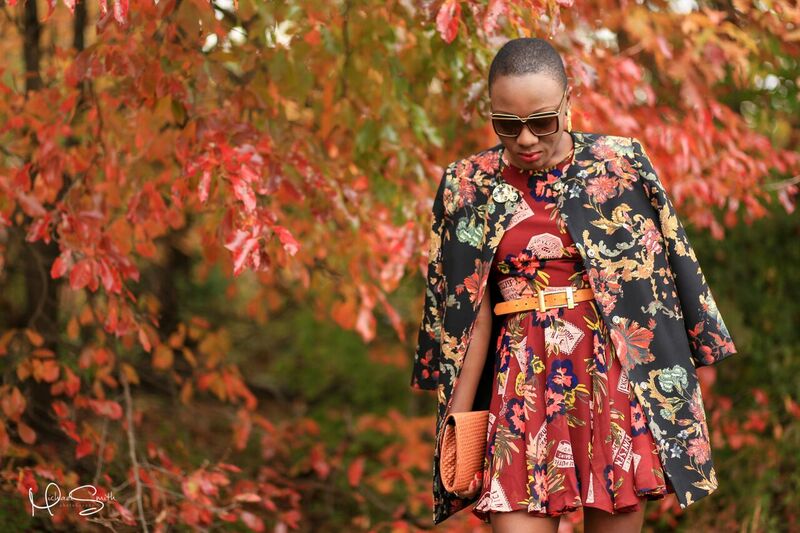 Fifth N' Sixth's Closet: Beauty of Autumn.. When I came out of the house and I saw the color of the trees I had to take pictures by it. 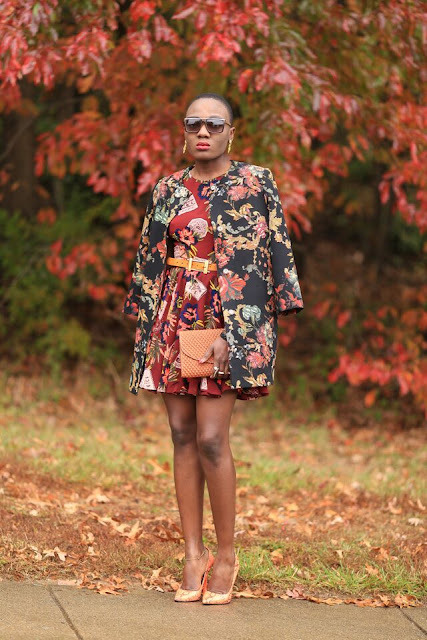 Dress Via Macys// Coat Fifth N Sixth// Belt Vinatge// Shoes privileged// Purse Fifth N Sixth// Sunglasses LV// Watch MK// Bracelets & Earrings via boutiques..